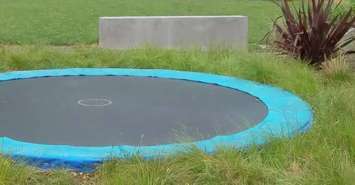 Many homeowners are choosing to go with a in ground trampoline. That is right, we said trampoline and not swimming pool. In ground swimming pools have been around for a long time and trampolines are starting to catch up. This means there is a lot of information you need to know before you go out and get your own in ground trampoline. 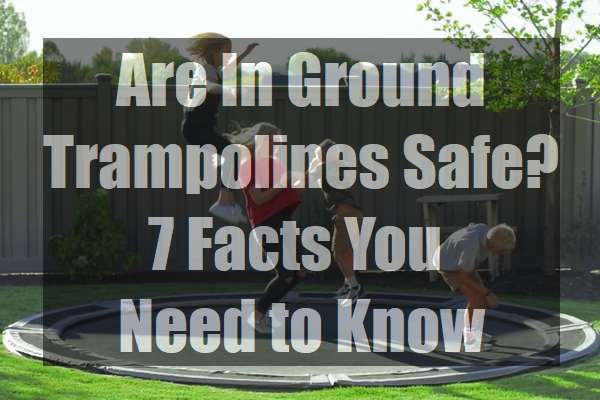 The most important is: Are in ground trampolines safe? There is only one major difference between an above ground trampoline and an in ground model. They both have the same frame, the same style of springs and jumping mat. They require the same safety rules. The only difference between the two is that the in ground trampoline is placed in the ground. You are merely lowering its location making it safer and easier to use. While in ground trampolines are safer than above ground ones, there are still safety rules to follow to make sure your children do not get hurt and still have a lot of fun. 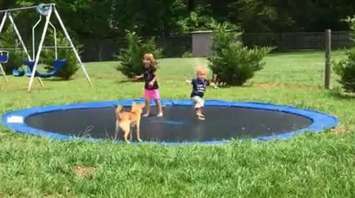 If you and your children do not follow the rules then there are some risks that do come with an in ground trampoline. Remove any jewelry you are wearing - this includes watches, chains, rings or anything else that can get snagged. Also, as an honorable mention, do not use street shoes or other slippery footwear on the trampoline. If you need to wear shoes and socks, make sure they do not slip. While the in ground trampoline is closer to the ground, you or your children can still get hurt of you land off the trampoline. The surface around the in ground trampoline is as hard as the surface around an above ground version. The trampoline safety net should attach to your in ground trampoline much the same as it does for your above ground one. The key to using a safety net on your in ground trampoline is to make sure you get the right diameter size. You also want to make sure that it will hold up over daily use. What safety nets do besides help prevent injuries, is make sure that you and your children enter and exit the trampoline safely and properly. They also prevent unauthorized use of the trampoline when you are not around. These safety [pads are actually a must have if you are going to install an in ground trampoline in your back yard. They perform several safety duties at the same time. First, you are protected from the springs. Landing on those can be pretty painful. Second, they provide proper ventilation so your trampoline bounces properly. This protects you and your trampoline. Fourth, the surface temperature is reduced when the days get hot. Finally, it protects the springs from any harmful air movement as you bounce. The health and exercise benefits that are found in an above ground trampoline are the same with the in ground model. You do not lose any of these benefits simple because you moved the trampoline into the ground. You do not lose any fun if you move your trampoline. Whether you have an above ground or an in ground trampoline your fun remains the same. So do your health benefits. The only thing you are changing is that you are making your trampoline use safer. No matter what other people say, in ground trampolines are safer than above ground models even though some risks remain. If you do not follow the different safety rules then your risks become greater but that is nothing to be afraid of. You just make sure the safety and your rules are followed. Choosing an in ground trampoline is a great way to have fun. It is also a great way get your exercise in so you and your family have a better and healthier lifestyle.